Please ensure that you do not pull on the wires to remove plugs or connectors as this may cause damage. 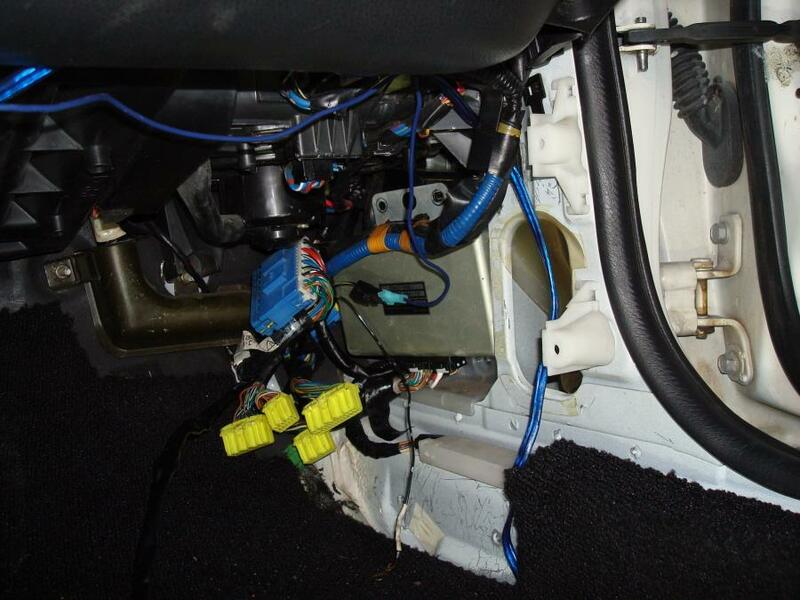 This procedure shows installation of the APEXi Power FC engine management system with the harness adapter. 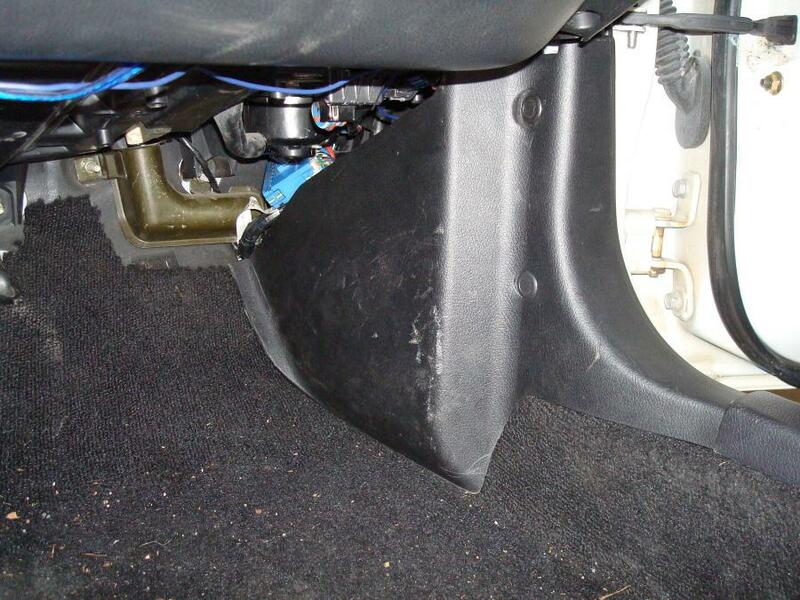 1) Remove passenger side door sill and kick panel (Pic #1). 2) Using 10mm socket, remove stock ECU by unscrewing one bolt from top and two bolts from bottom of ECU brackets (Pic #2). 3) Remove two grounds from ECU as pictured (Pic #3). 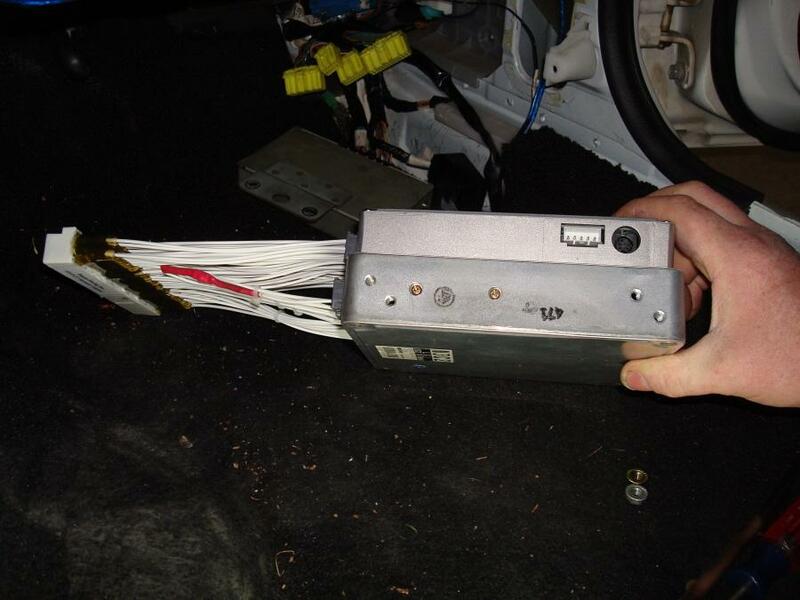 4) Uncouple lock tabs on engine harness connectors by carefully using a flat head screwdriver and disconnect stock ECU (Pic #4). 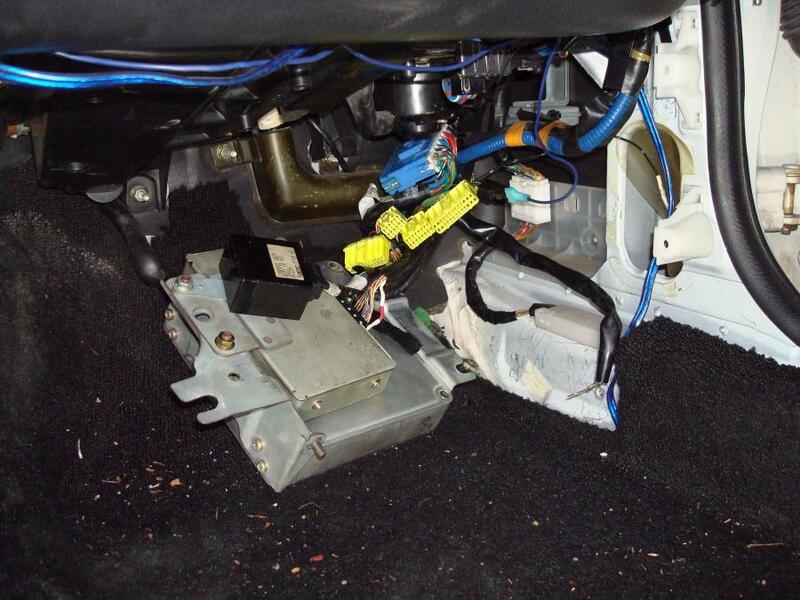 5) Unbolt Automatic Transmission and Fan Control Units (Pic #5). 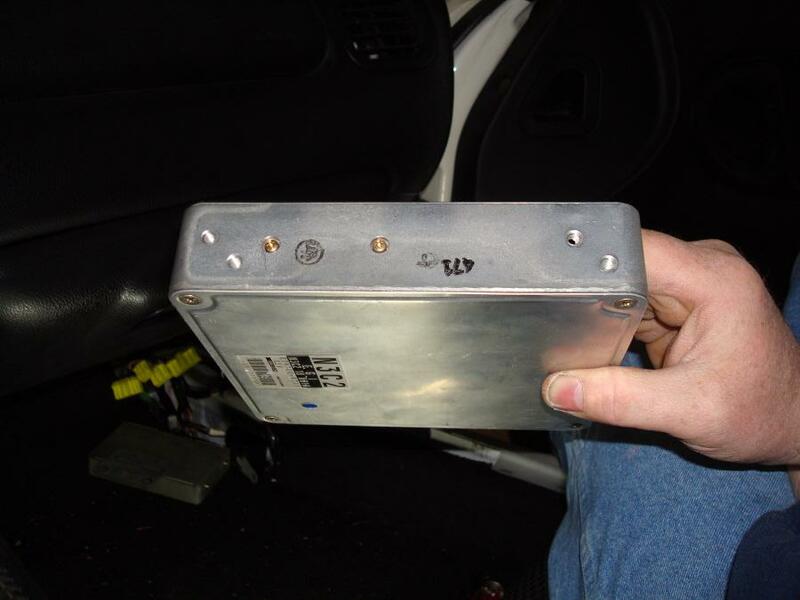 6) Using a Phillips head screwdriver, remove top bracket from stock ECU (Pic #6). 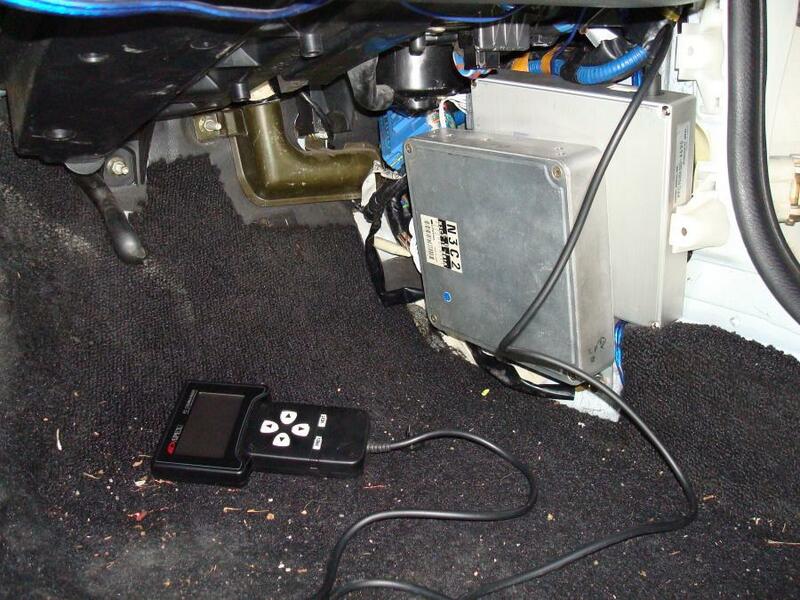 7) Using Banzai Racing Automatic FD Harness Adapter, attach top 4 connector plugs identified with zip ties to stock ECU and bottom 4 plugs to the APEXi Power FC (Pic #7 & #8). 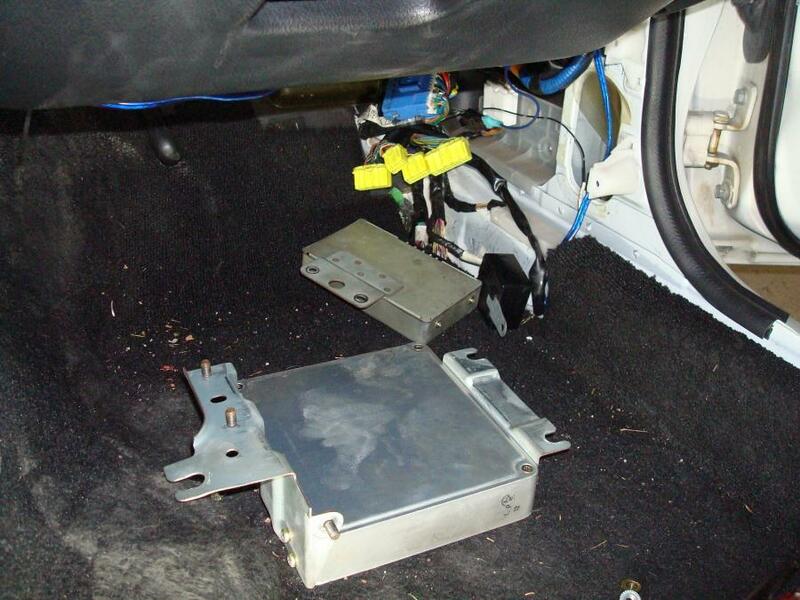 8) Secure Automatic Transmission & Fan Control Units in cavity using zip ties or Velcro (Pic #9). 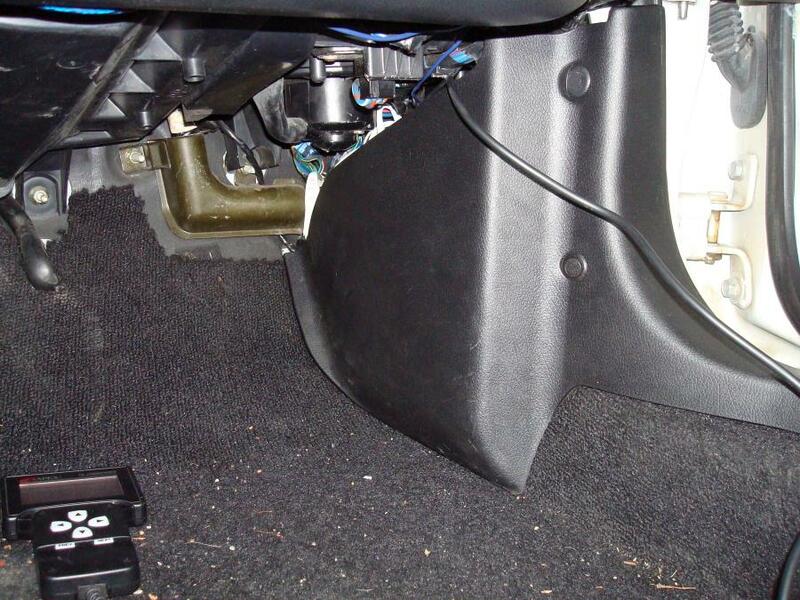 9) Attach previously removed Grounds to either of the two bolts used for mounting the lower bracket on the stock ECU. 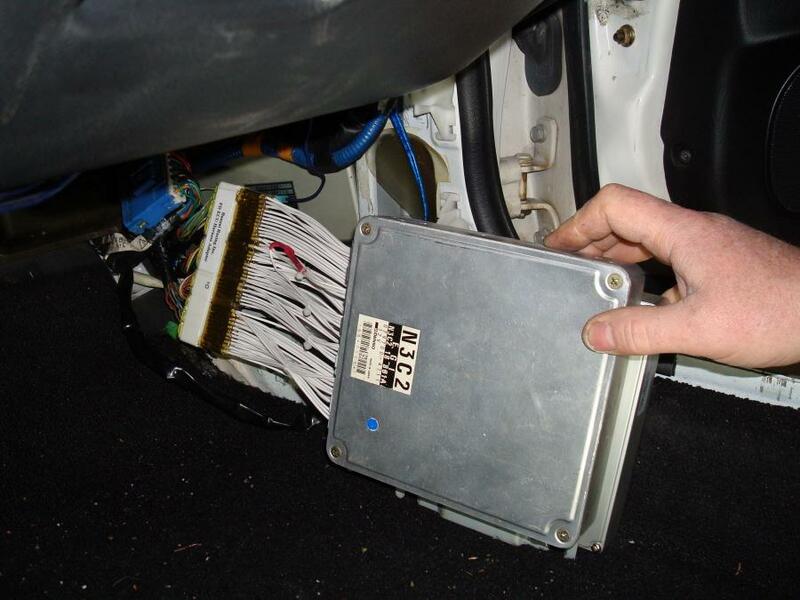 10) Using Velcro affix Power FC to back of stock ECU. 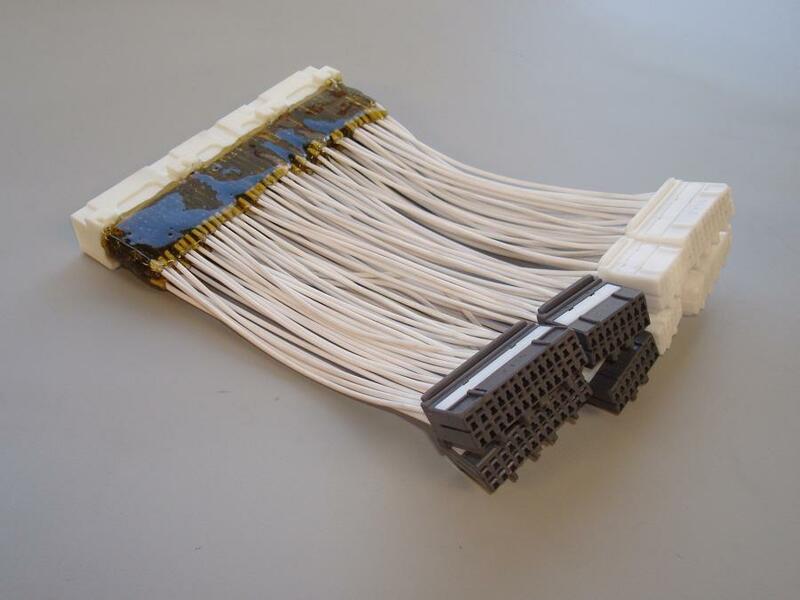 11) Plug engine harness connectors into the adapter(Pic #10). 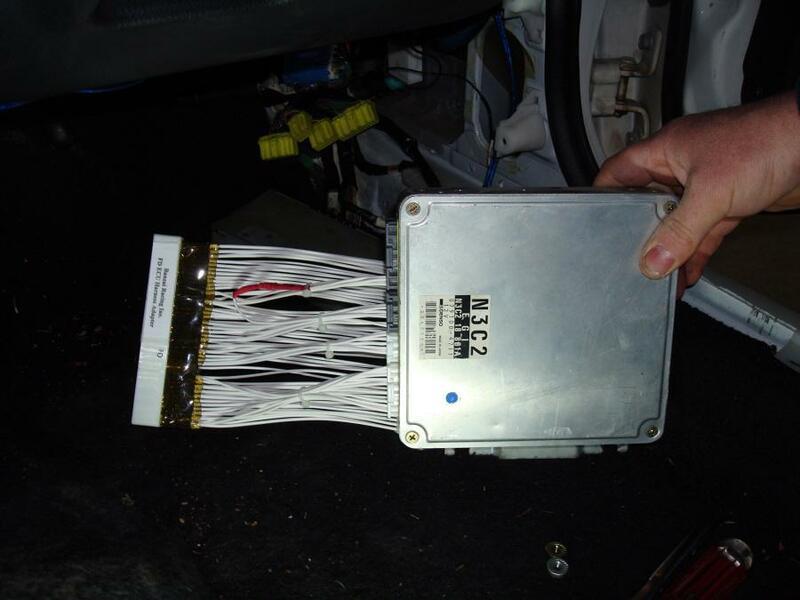 12) Install complete unit using the two 10mm bolts on the lower ECU bracket and connect PFC Commander to unit. 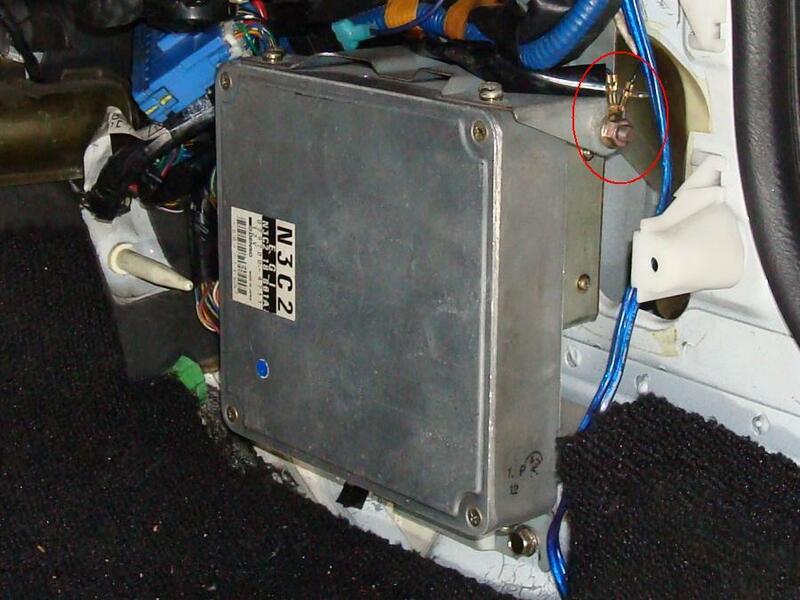 14) Turn ignition switch to "on" position and check PFC Commander for signal. 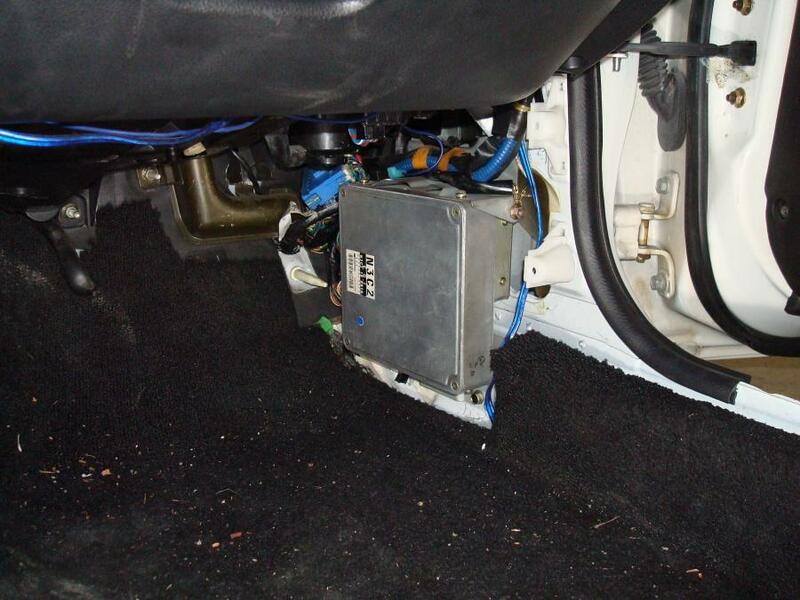 14) Reinstall kick panel and door sill (Pic #11).